When the editors at SheKnows.com asked me to cover the “oversized” trend I immediately wanted to run for the wind. As a plus-size woman I think it has been ingrained in me to never add weight through clothing and to always choose clothes that are “flattering.” Well, call me converted because after this challenge I believe. I’ve not only discovered new brands for you to try yourself, but also come up with some great ways to interpret this trend in a way that works for those of us with a little more “bass.” For reference: I am 5’7″ and generally wear an 18/20. Below you’ll find me in the looks I experimented with, my tips and my thoughts on delving into the world of the unknown. Tip: Keep an open mind! Mimu Maxi is a brand out of Brooklyn that caters to the more modest. 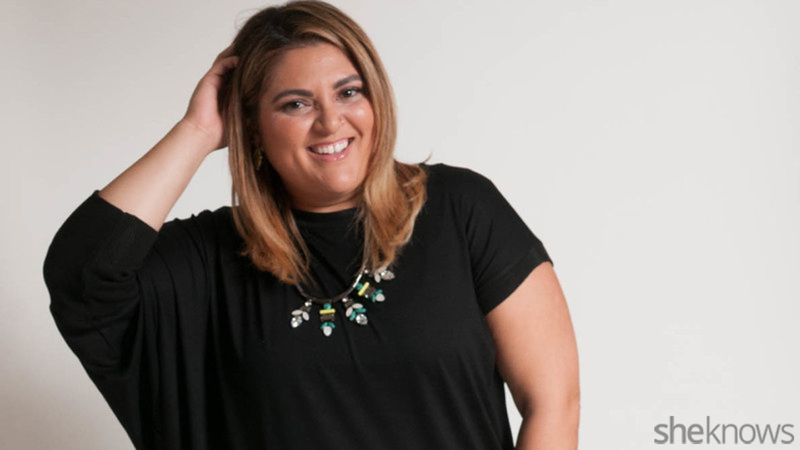 It isn’t a plus size brand so I was hesitant to check their site out, but their roomy garments offer a chic option if you’re looking to be comfortable and look contemporary. Created by two sisters-in-law whose Instagram will make you envy their bond, Mimu Maxi is all about clothing for all. Whether you’re plus size, pregnant, average or in between, you must check them out. I could have gone down a size for sure. Love this look. Tip: Get comfy on top (or bottom). I love a great cozy sweater and this one from Ideel is everything. My tip here, when opting for an oversized look, is to go for a sleek and tight bottom. These leggings from Hold Your Haunches are exactly that. NASA-approved shapewear inside leggings that offers a supportive bottom perfect for accomplishing that loungey-chic look. Shop Ideel’s latest plus-size sales! I never need to wear another brand again. Babooshka knows how to envelope your curves in a way that is chic, comfortable and exactly right. Often plus-size women choose to drown themselves in fabric; this can result in looking like you are trying to hide what’s underneath. This is the complete opposite. Babooshka’s proportions are perfect and she knows where to drape and where to let you show some skin. Size note: I am wearing XXL but could have gone down a size. Bonus: Take 20 percent off all orders over $175 or more with the code SHEKNOWSBABS. So, this tank wasn’t exactly oversized on me… I ordered the 2X, so as you can see, to really get that boxy oversized look like the model you would need to size up drastically. However, this is well built and the organza is to die for. I do love the idea of wearing a tube underneath and letting a little skin peek through. Tip: Exaggerated cuts are your friend! Conquering the chic simplicity of the oversized trend is all about realizing that you just have to find pieces that work. This top is sophisticated and chic and can be paired with lots of different bottoms. It is a simple silhouette with a little exaggeration. This brand knows how to cut for a woman’s figure and makes clothes well. I would highly recommend them! Dare to do it now? Keep me posted on your trendy ways @themarcyminute!